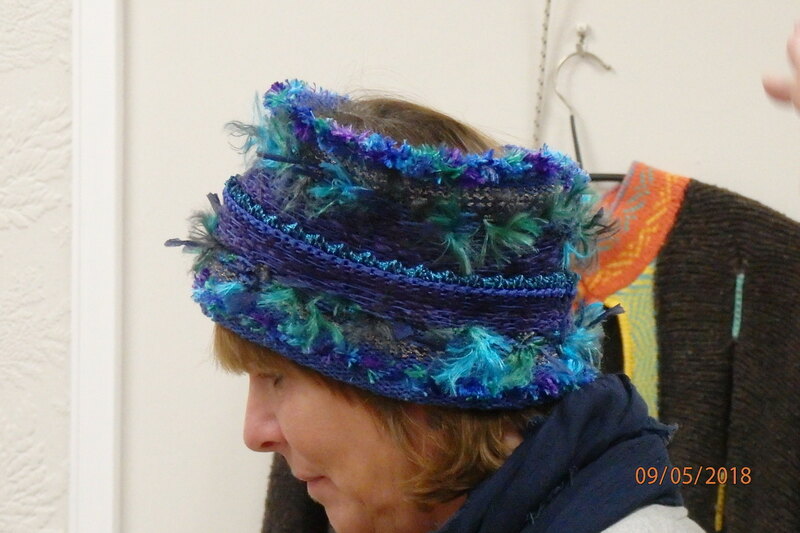 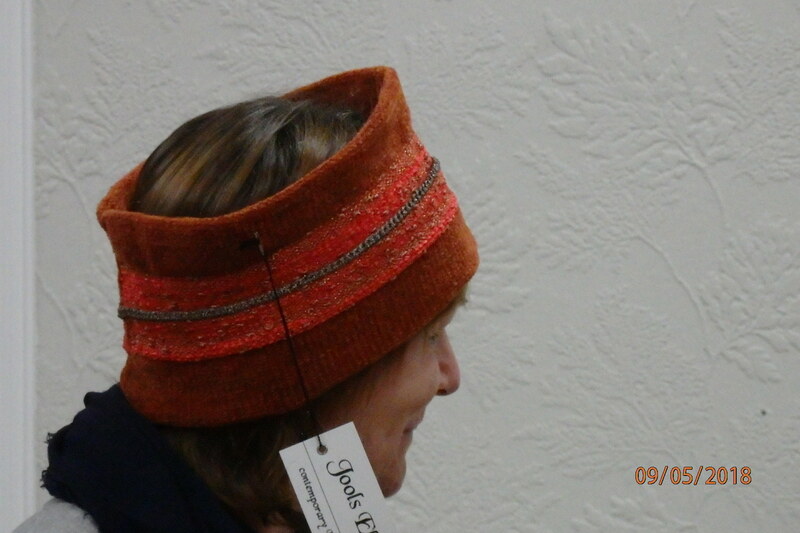 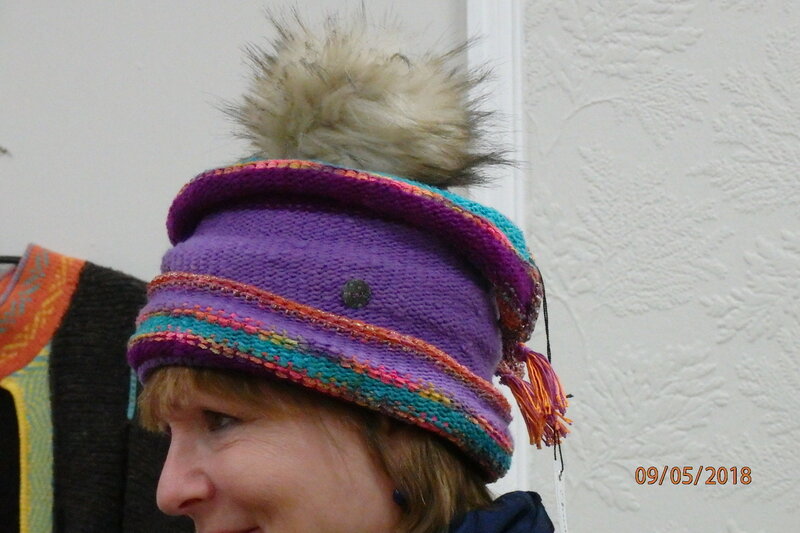 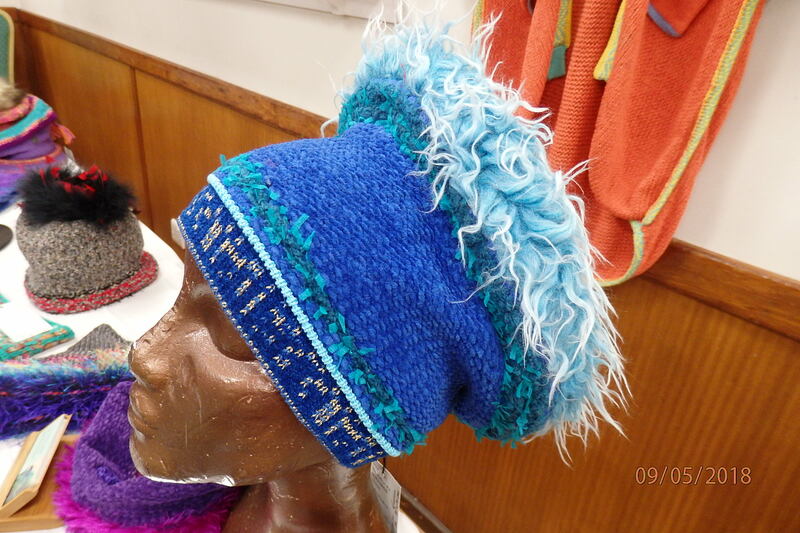 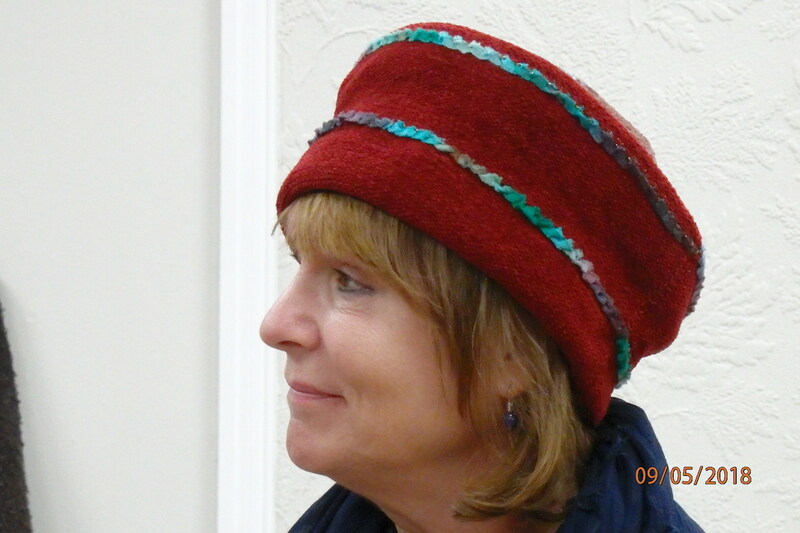 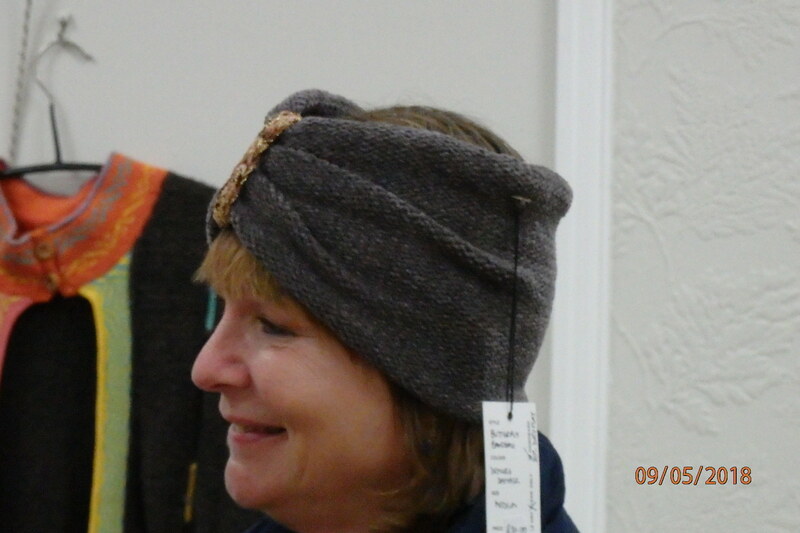 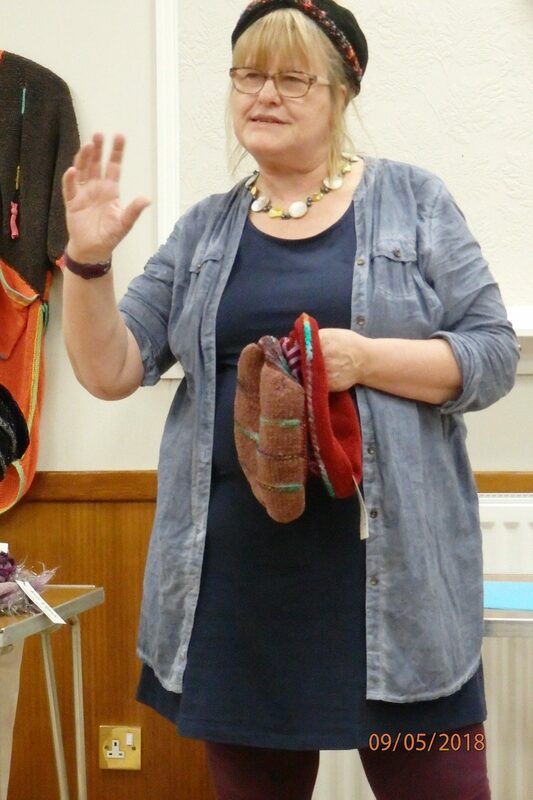 We had a wonderful talk from Jools Elphick who brought along a large range of her knitted hats. 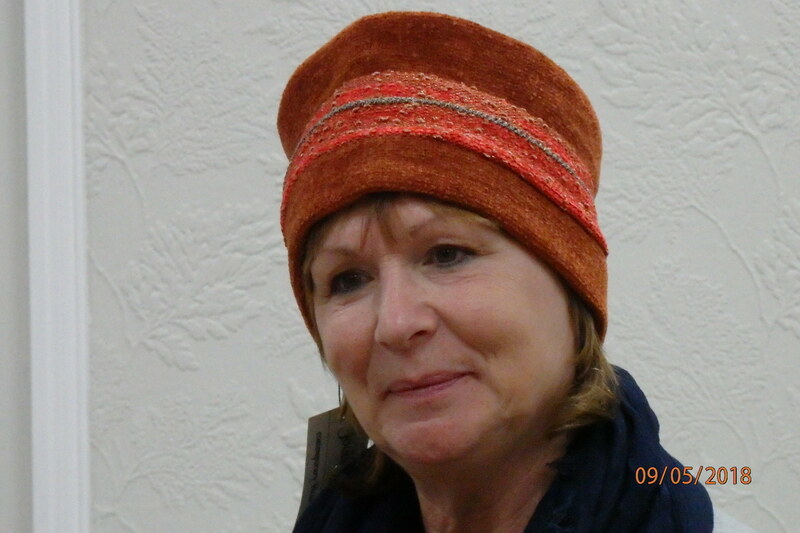 She entertained us with a history of her work intertwined with anecdotes about her life. 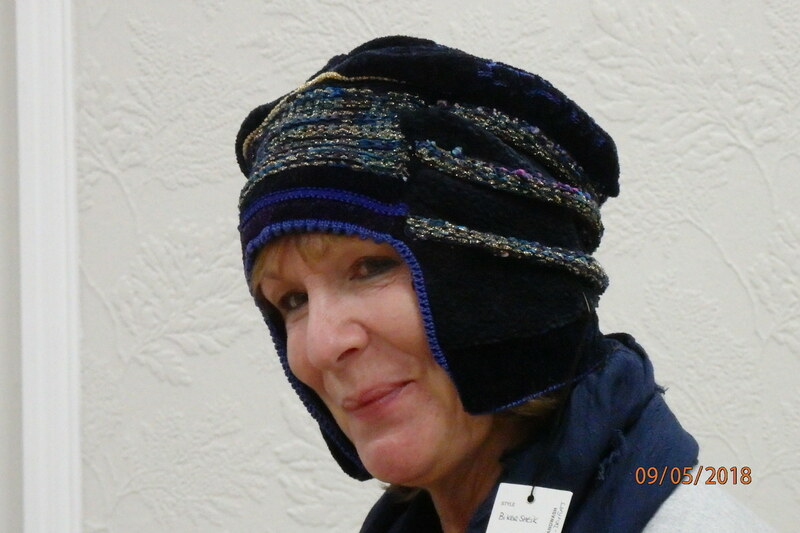 Having started making garments she moved by degrees into hats and her designs are widely sought after by high-end retailers both in the US and the USA. 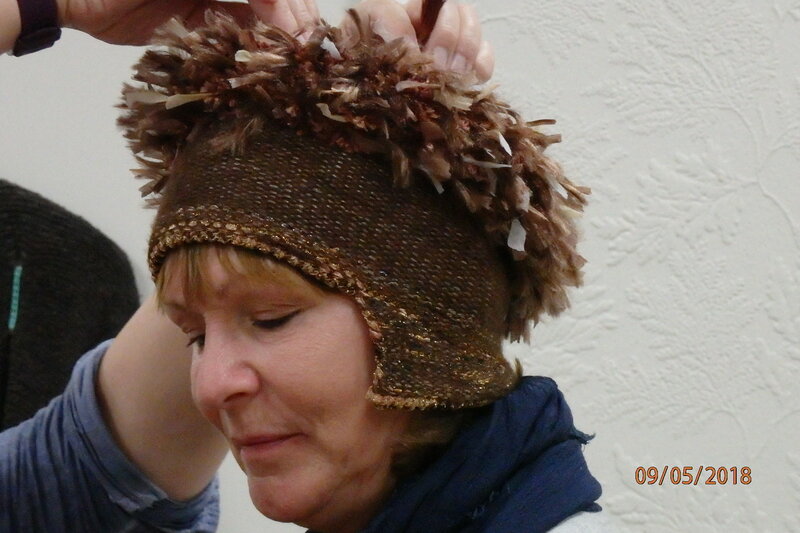 She is now looking to explore some new areas of knitting. 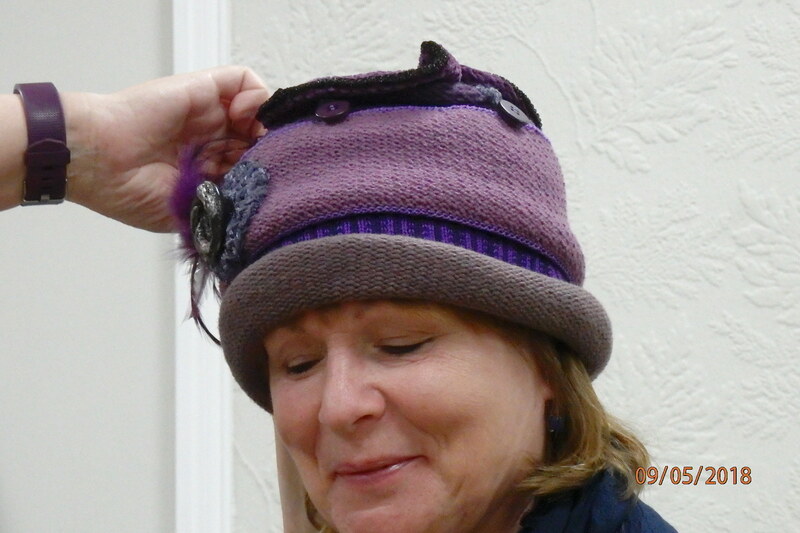 Some of the hats were modelled by one of our members and the came to life once on the head, the intricate structure that made them look so great was explained. 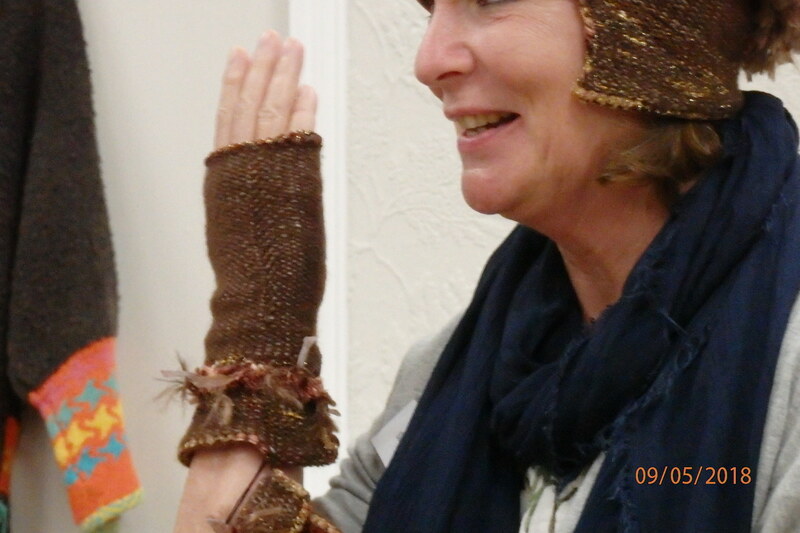 And we had the opportunity to examine them in detail after the talk. 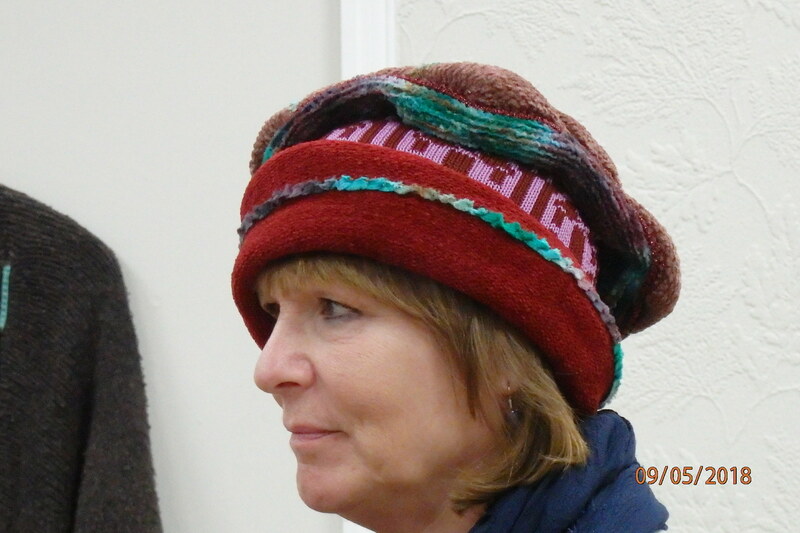 We would like to thank Jools for making such an enjoyable evening and also Sarah who modelled the hats.